This is part 5 of my blog series entitled Set Up Your Tools. And, Google+ has the customary mobile apis as well, which ensures that you can build cross-platform support for Google+. Google+ has taken a circular route to fruition. Where Facebook started as a social platform, Google+ has grown out of a variety of tools that used to be separate and are now being weaved together as a larger fabric. This has worked well in some ways, and it has been challenging in other ways. Google has built some really good tools (Picasa for photos) that are now being used as a key component of the Google+ experience. 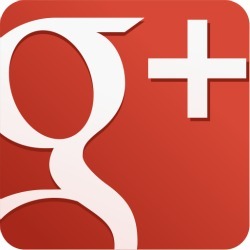 Google Search, Google Reader and various other Google tools also integrate quite seamlessly with the Google+ experience. One area of confusion for some users has been Google’s permission model, referred to as Google Circles. Circles are Google’s way of allowing you to segregate your audience. You can create one circle for your family. Another for your co-workers. And a third circle for your friends that know about the gambling habit that you keep from your family and co-workers. And, you can post info to each of those circles without the other circles knowing about them. This is great for keeping your social circles up to date in one place. But it’s confusing for some. And thus, the barrier to entry can be daunting. I love the concept of segregated user groups. The ability to share what I want with a select subset of users is fantastic. I can target my content to those that I think will be interested in it. Some of my friends that I am connected with on Facebook comment that some of my posts are too geeky for them. Targeting my content to certain circles would help in this way. This mirrors targeted advertising – another market space that Google excels in. I don’t think this “mirroring” is by accident. Something to note: definitive stats are hard to come by, and they are even harder to interpret when they are available, but many perceive Google+ to be the geekier cousin to Facebook. Google+ adoption rates have been growing over time, but at one point (Dec 2011) largest group of users of Google+ tend to be males between 25 to 34. But perhaps the bigger barrier than building discrete circles within Google+ is simply the daunting task of recreating your Facebook friend list on yet another social media tool. This is, to me, one of the greatest barriers to adoption for Google+. People invested heavily in their Facebook networks. And many of those people don’t want to do it again. So, until people have a compelling reason to rebuild their social neighbourhoods, Google+ and others like it will play second fiddle. Regardless, Google+ is a force to recon with. Its growth is accelerating: Today Google+ is the fastest-growing network thingy ever.. And Google+ is only going to become more dominant as it continues to integrate itself into all of Google’s services (think Search, Gmail and YouTube: There’s No Avoiding Google+. Feel free to look me up on Google+ and add me to your circles!